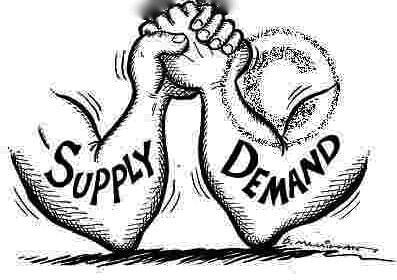 Supply and demand are one of the most fundamental concepts of economics working as the backbone of a market economy. 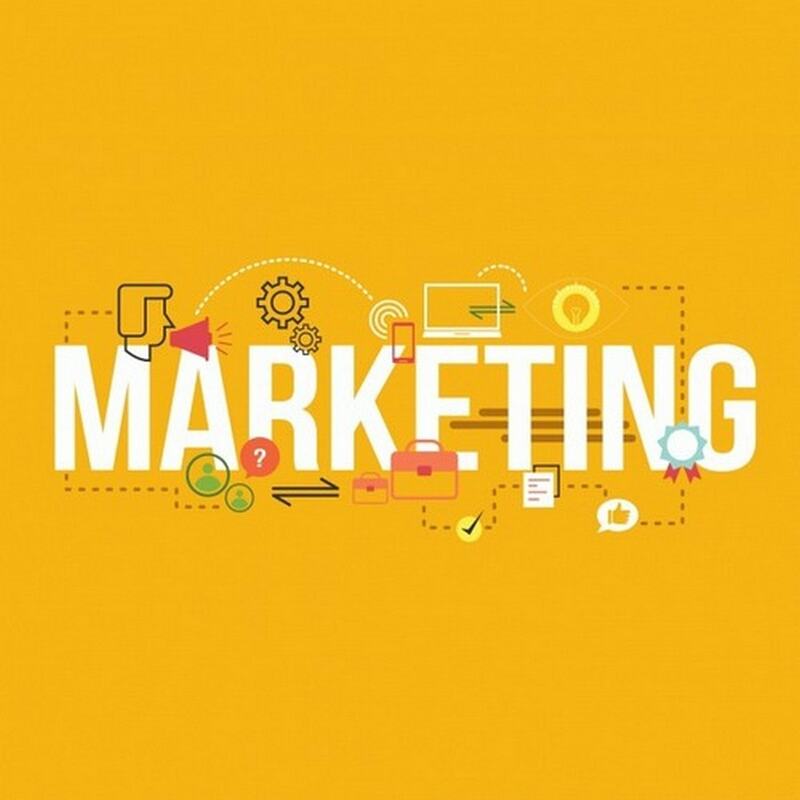 The concept of demand can be defined as the number of products or services is desired by buyers in the market. The quantity demanded is the amount of a product that the customers are willing to buy at a certain price and the relationship between price and quantity demanded by the customers is known as the demand relationship. The concept of supply can be defined as how much the market can offer to its customers. The quantity supplied refers to the amount of certain good producers are willing to supply when receiving a certain price for their products in a specific period of time. The association between price and how much of goods or services are supplied to the market is known as the supply relationship. Hence, the price is a manifestation of supply and demand. The law of demand focuses on the fact that if all other factors remain equal in nature, the higher the price of a good as compared to the competition, the fewer people will demand that good. Precisely, higher the price of the goods, the lower the quantity demanded by the customers in the market. The amount of goods that customers purchase at a higher price is less because as the price of a good elevates and so does the opportunity cost of buying that good. Hence, the customers will naturally avoid buying a product that will force them to skip the consumption of something else they value more. 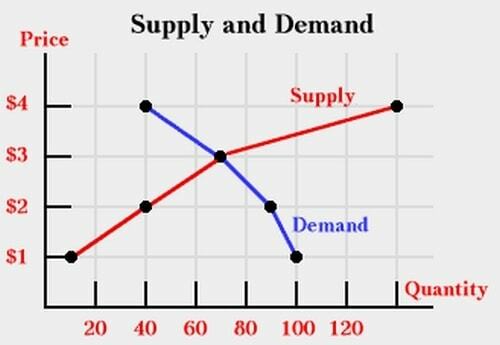 Just like the law of demand, the law of supply highlights the quantities of goods that will be sold at a certain price in the market. But unlike the law of demand, the supply relationship shows an upward slope in nature. This means that the higher the price of the goods in the market, the higher the quantity supplied to the customers. Good manufacturers supply more products at a higher price because selling a higher quantity at a higher price elevates revenue generation and overall growth of the firm. The relation of supply is a factor of time as compared to the demand relationship. 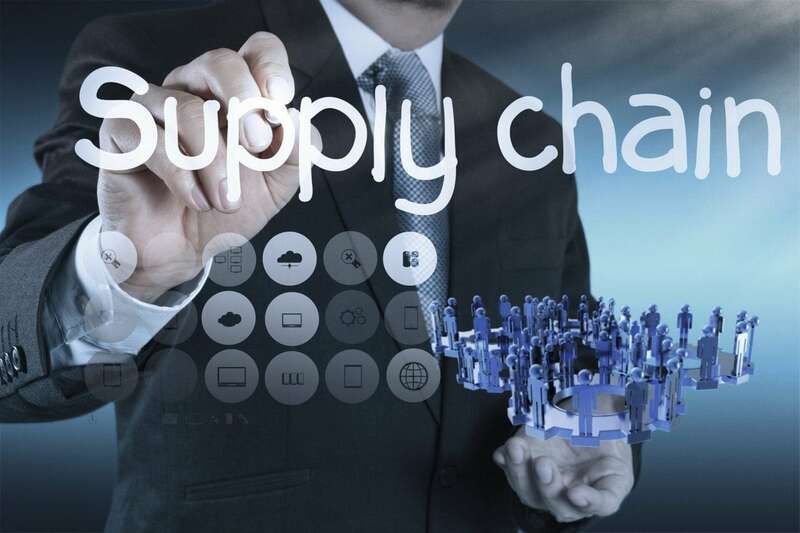 Time is a very crucial factor to supply as suppliers must, but cannot always, react quickly to a change in demand or price of the products in the market. So it is very imperative to try and determine if the price change is caused by demand will be temporary or permanent in nature. For example, if there is a sudden increase in the demand and price for umbrellas in an unexpected rainy season; suppliers may simply cater to the demand by using their production equipment more intensively. And if there are a climate change and the population will need umbrellas all year round, the change in demand and price will be expected to be long-term in nature and suppliers will have to change their equipment and production facilities to meet the long-term levels demands of the market. 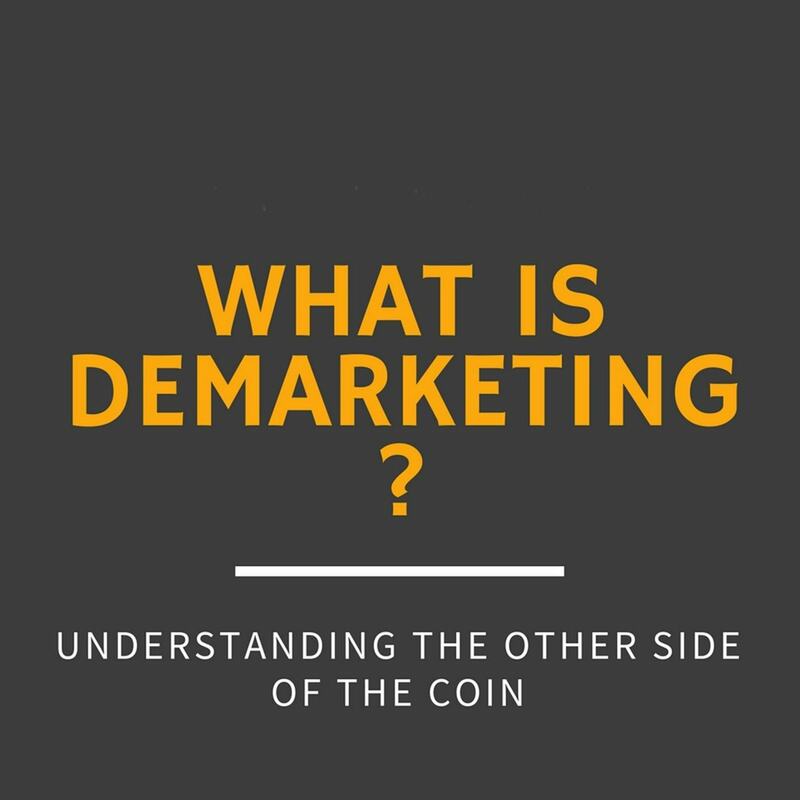 The main function of the market is to equate demand and supply through the mechanism of price. 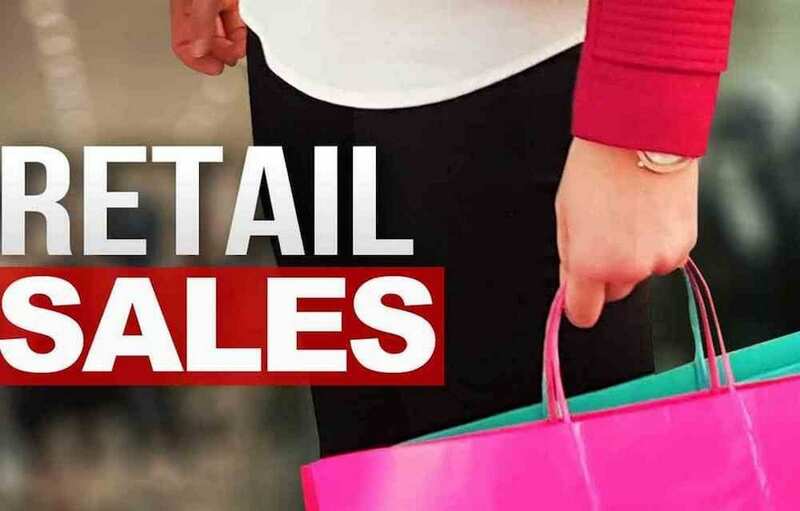 If customers wish to purchase more quantity of goods that is available at the prevailing price in the market, they will tend to tender the price up. 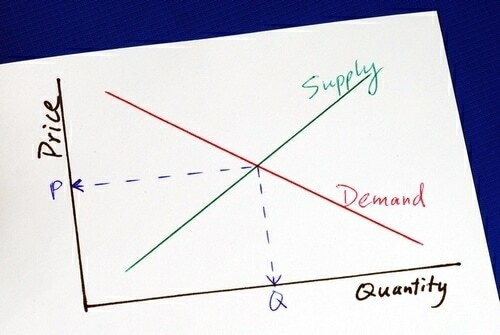 And if they wish to purchase less quantity than is available at the prevailing price, suppliers will bid the prices down and there is a tendency to move toward the equilibrium price and this tendency is called the market mechanism, and the resulting balance between supply and demand is called the market equilibrium. As the price rises, the quantity offered also increases, and the willingness of consumers to buy the goods decline, but those changes are not necessarily proportional. 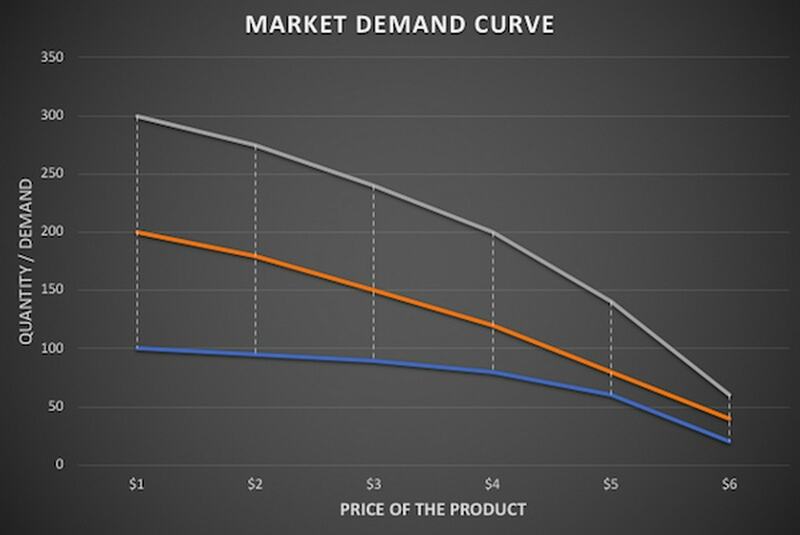 The yardstick of the responsiveness of supply and demand to changes in price is called the price elasticity of supply or demand and is calculated as the ratio of the percentage change in quantity supplied or demanded to the percentage change in the price of the goods. The demand for products that have readily available substitutes is likely to be elastic meaning that it will be more responsive to changes in the price of the product because the consumers can easily replace the good with the substitute if its price rises. The demand for a product may be inelastic if there are no close substitutes or alternatives and if expenditures on the product amount to only a small part of the consumer’s income. Firms that face relatively inelastic demands for their products may increase their total revenue by raising prices of the products and the ones facing elastic demands cannot. Supply and demand analysis may be applied to markets for the final goods and or to markets for labor, capital, and other various factors of production. 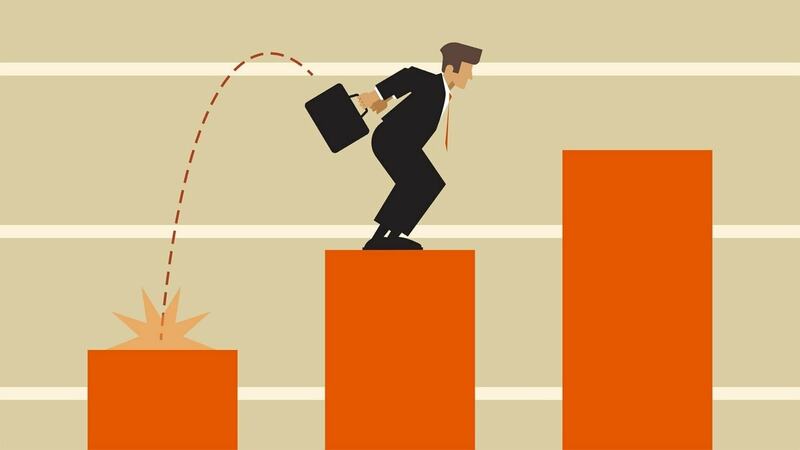 It can be applied at any level of the company or to the industry as a whole or at the cumulative level for the entire economy. A luxury brand restricts its supply of products to maintain high prices and the status of the brand in the market. A type of business software is typically sold as a monthly user-based service in the market. Its supply is essentially unlimited as it costs firms very little to scale their services up and down. The demand for this software all over the world is 1 million user licenses with 99% of demand falling below a price of $200 per user on per month basis. Any company that charges more than $200 will only have access to 1% of demand in the market. A theme and entertainment park has a fixed capacity of 100,000 people a day that represents the overall supply. Demand for the same is based on the calendar with high demand for holidays and a relatively lower demand on workdays and in poor weather months. The theme park offers a wide array of discounts on days when they predict demand to be low and on high demand days, no discounts are given to the customers. Common goods are things such as air, water, and ecosystems that are a shared common resource by one and all. They have a fixed and limited supply. Common goods are often used without any cost involved so that their demand tends to grow very quickly. This result in the over usage of common goods resulting in their depletion. Application of the cost factor to the use common goods can rectify this as it helps to limit demand. Supply of a particular skill set is determined by factors such as demographics and education. 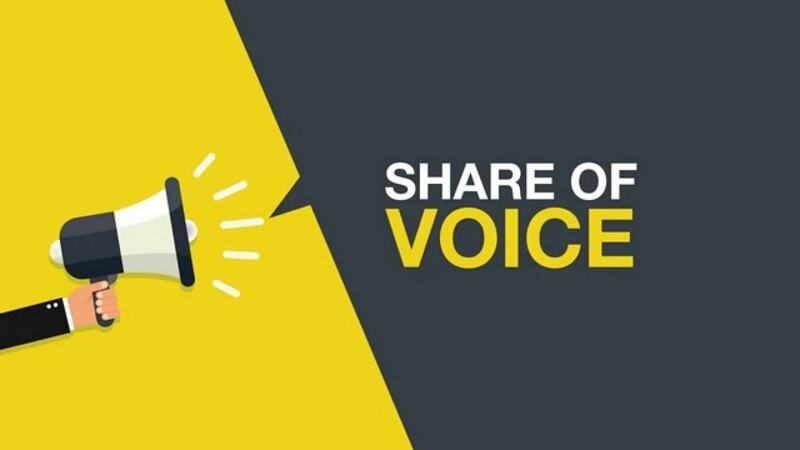 Demand for a skill set is driven by factors such as the economic growth of the country or industry, recessions, business cycles and the evolvement of the technology. When a skilled labor is in high demand their salaries increase. This causes supply to increase on a long-term basis as higher salary gives people incentives to acquire the required skill set. Supply of assets such as real estate or gold is mostly fixed with small increment over a specific time period. Demand can rise and fall dramatically due to factors such as economic conditions, dynamic environment, interest rates, and money supply in the market. A security can rapidly increase in supply. For example, a firm that does a secondary offering of its stock in the market can increase the supply quickly. Demand for a security is determined on how the investor estimates for its future returns and risks. The supply of a currency is set by the monetary policy of the country and demand is generated by economic activities such as trade and investment flows in the market.